I had just flown into California from New York to spend Christmas weekend at home, and I was excited for friends, family, and warm(er) weather. Furthermore, I was extremely eager to eat some of San Francisco’s best cuisines to hopefully negate the memory of the inedible airport food I had consumed earlier. It was almost 11pm by the time my friend Annie had picked me up from the SFO airport, and we headed downtown to find some late-night dining. With respect to California’s “last call for liquor law” at 2am (although it’s more like 1:40am), late-night dining options are much more limited than in NYC. However, there are a few select jewels of restaurants that will serve up delectable dishes to satisfy late-night cravings, and Beretta is a prime example. Beretta is a charming restaurant in the Mission district that serves creative cocktails and contemporary Italian comfort food. 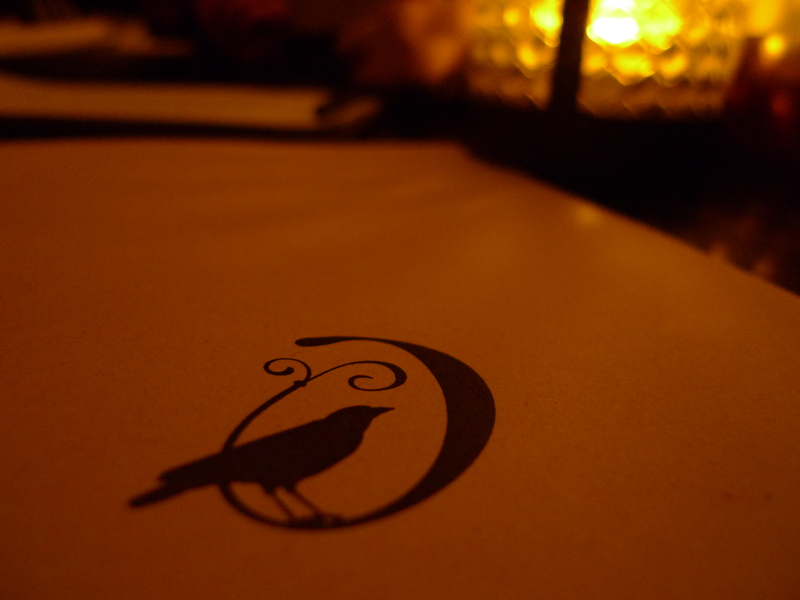 The menu is always changing to incorporate seasonal and fresh local ingredients. 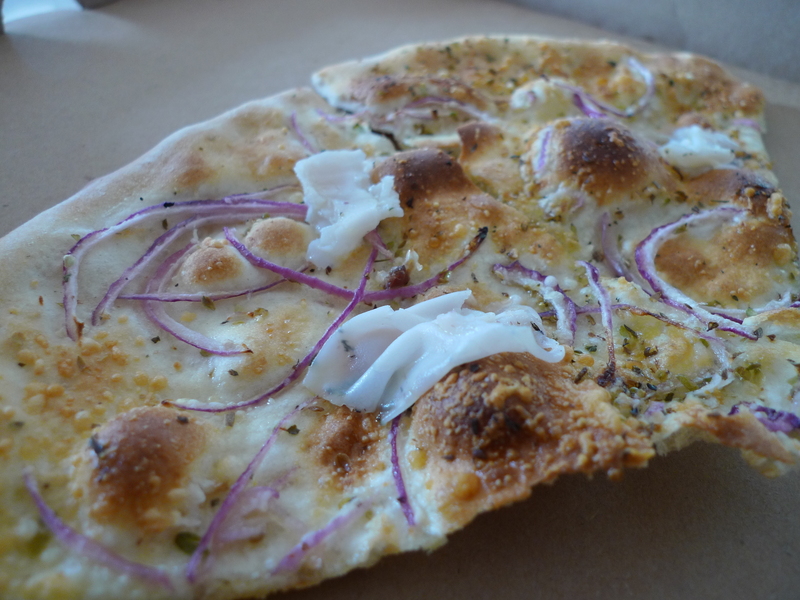 The thin crust pizzas and creamy risottos are the main focus at Beretta, and the restaurant executes them perfectly. I absolutely adored the Prosciutto, Leeks & Goat Cheese Risotto, and my friend Annie said the Squid Ink Risotto and Butternut Squash Risotto were equally delicious. The pizzas were also deliciously crispy and light, even though the one we had ordered literally had pieces of lard on it (soooo good). 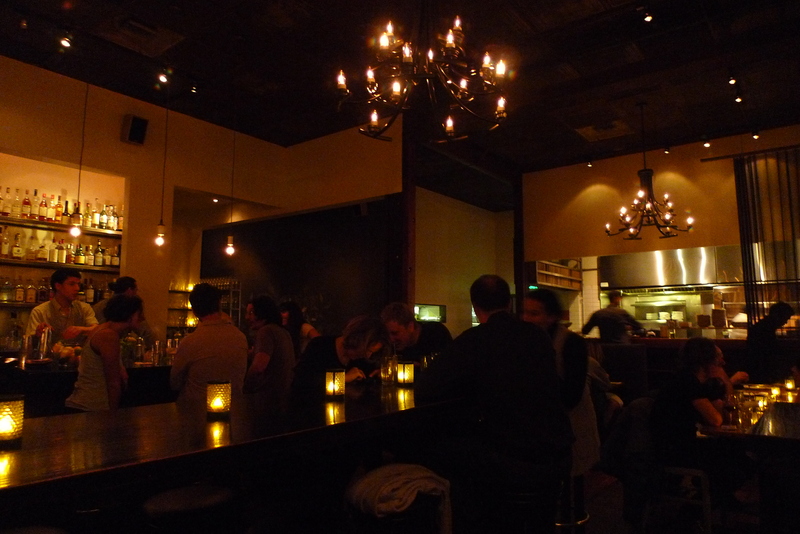 There is a long central communal dining table (which I noticed is common in SF, such as another late-night dining spot nopa), but if you want more privacy, select a table along the wall. The tables near the window are so close to one another that it practically forms a communal dining table. The restaurant is quite spacious; there is even a downstairs dining area for private dining parties. The ambiance is very cozy with a hint of romance emanating from the dark espresso wood tables, flickering candles, and hanging Edison light bulbs. 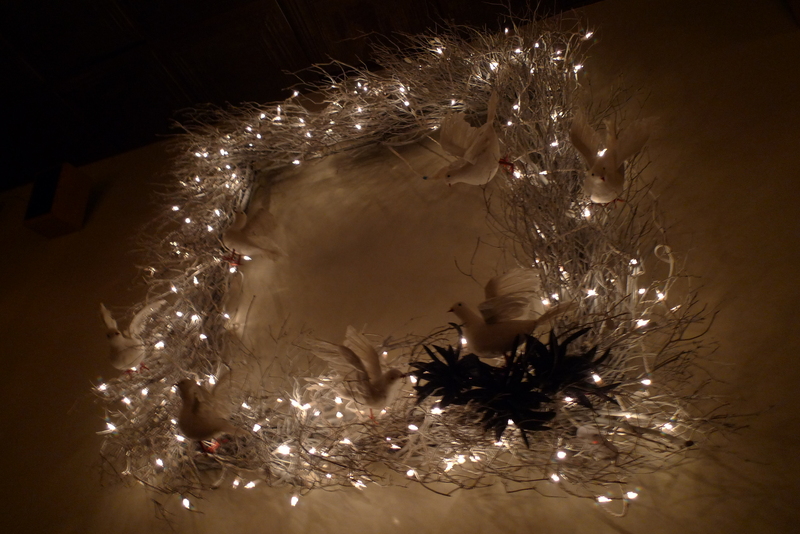 The walls are adorned with floral tattoo-esque paintings in shades of gray and white, but my favorite decór was the holiday square wreath with perched doves that hung above our table. The only complaint I would have about this place is the service, as it took about 15 minutes before we could find anyone to even take our order. And with the clock ticking until last call, we really wanted our drink orders to get put in! Cocktails were delicious though, I did love my Mumbai Mule with saffron vodka, lime, ginger, and mint. 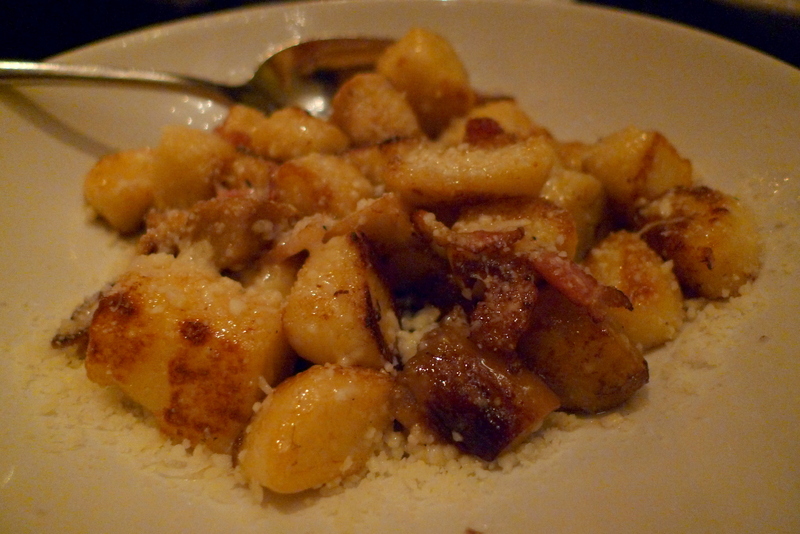 Overall, I thought Beretta was a lovely restaurant to have a late-night meal. However, I don’t think such a limited menu would cut it during normal dining hours, as it really is just pizza and risotto that is the highlight here. But if you live for amazing risottos and thin crust pizzas with slices of heaven (aka lard) toppings, then Beretta is worth checking out! 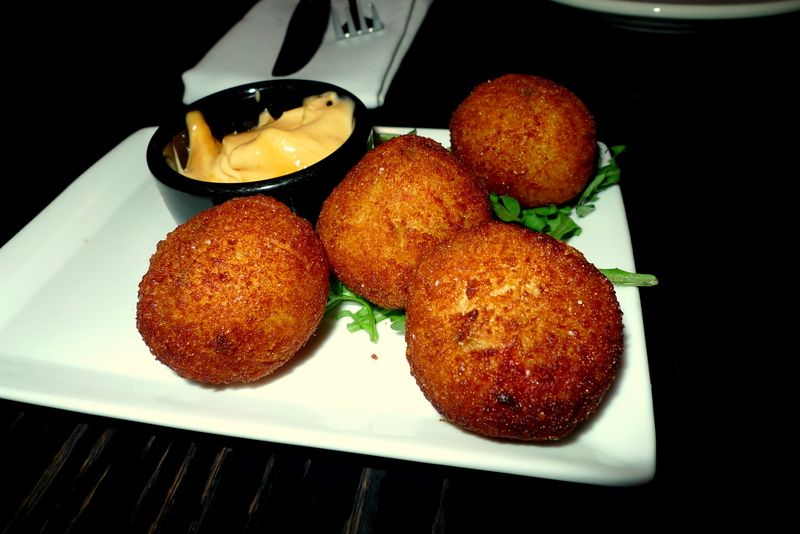 Arancini are fried rice balls coated with bread crumbs, which added an unusual twist to normal crab cakes. 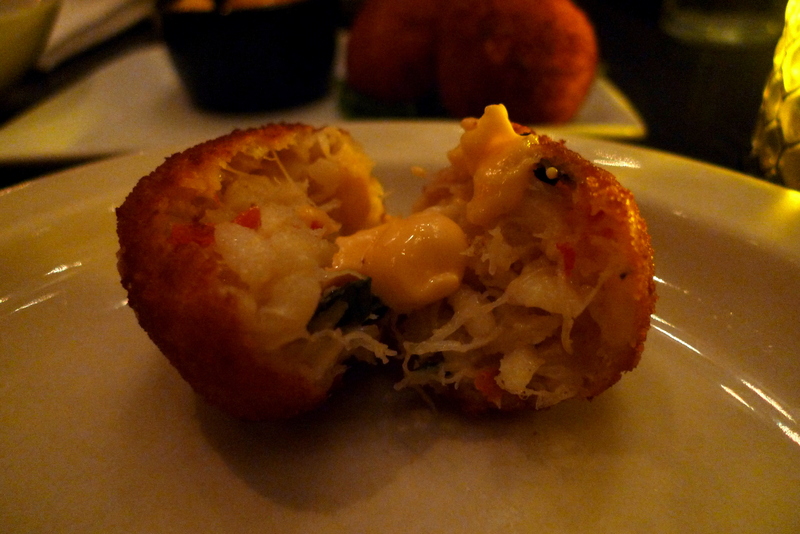 The crab meat was extremely fresh tasting and the aioli sauce was a great complement. This was the most amazing risotto I have ever tasted — primarily because I am obsessed with goat cheese and leeks. 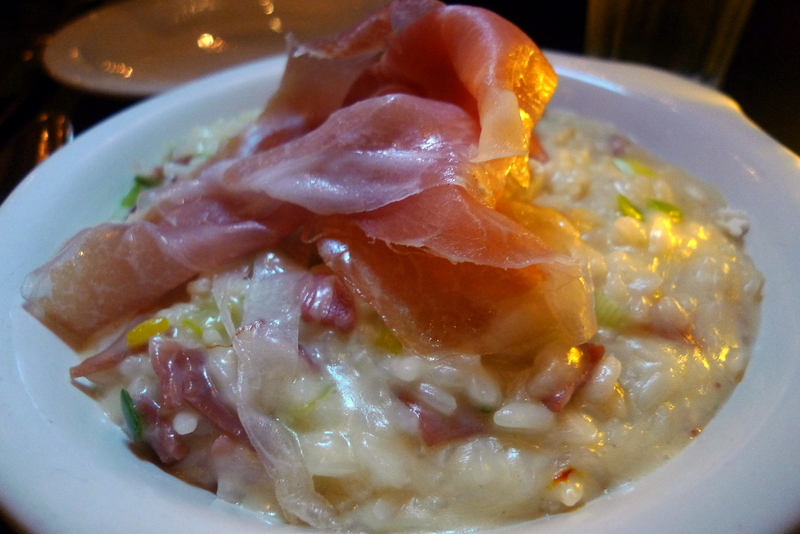 The sharp goat cheese was mellowed out by the creamy texture of the risotto, and the sweet sautéed leeks balanced out the saltiness of the prosciutto. Over a year later, I FINALLY got around to making my own version at home! Check out the recipe here.